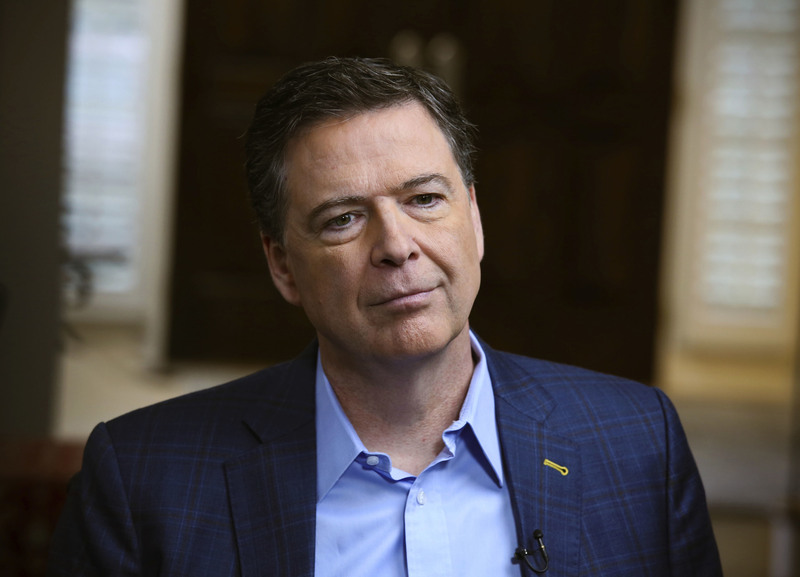 WASHINGTON (CN) – A federal judge “hopes” to rule Monday on whether former FBI Director James Comey must comply with a subpoena to appear for a closed-door deposition before a congressional committee next week. U.S. District Judge Trevor McFadden said he hopes to be able to make a decision on Comey’s request by the time lawyers for the former FBI director and the House of Representatives meet for another hearing at 10 a.m. Monday. Comey filed a motion on Thursday asking McFadden to toss out a subpoena the House Judiciary Committee served him last week. The subpoena called Comey to testify in a private setting on issues related to the FBI’s investigations into former Secretary of State Hillary Clinton and into allegations of Russian interference in the 2016 presidential election. While urging McFadden to set aside the subpoena at a hearing Friday afternoon, Comey attorney David Kelley said while the investigations the House committee is conducting are legitimate, there is no reason to hold the hearing away from public scrutiny. “That just reeks of political theater as opposed to a legislative function,” Kelley said Friday. In opposing Kelley’s motion, Thomas Hungar, an attorney with the House of Representatives Office of General Counsel, said “no federal district court in the history of the republic” has stepped in to pause a congressional proceeding as Comey requests. But Kelley later told McFadden this should not dissuade him from taking action, saying just because no case raising these specific issues has come up before, the court is not necessarily without a role in the fight. “Well, here’s your opportunity judge to make some law,” Kelley said. Hungar also said the House is perfectly within its rights to bring Comey in for a closed-door meeting as part of its efforts to compile a report on its investigations. He said depositions are more efficient than public hearings and that Comey would be free to counter any leaks from the committee with public statements of his own. Hungar said the committee plans to have a transcript of Comey’s deposition within 24 hours of their meeting and that Comey could post the document online if he wanted to. Comey was supposed to go before the committee on Monday, but Hungar said in court the committee has decided to move the deposition back until Tuesday. While that gives McFadden more time to decide the issue, Kelley said it also means the committee should have to issue his client a new subpoena and give lawmakers the proper notice. McFadden did not clearly demonstrate whose arguments were more persuasive to him during Friday’s hour-long hearing, asking pointed questions to each attorney. McFadden wondered whether a legitimate congressional investigation is invalid simply because of leaks coming from the committee and also noted Comey will not be giving classified testimony. “Isn’t that kind of different than a leak?” McFadden asked. At the same time, though, McFadden questioned Hungar on why the committee is keeping the public out of the process if they are welcoming Comey to give his own account or publicly release a transcript of the proceeding if the wants. “Why do it in private at all?” McFadden asked. Kelley will file a brief with McFadden by 2 pm on Sunday, replying to the arguments raised in a House filing made just minutes before the hearing began on Friday.